Ferron, UT- Constance D. Brooks, 86 passed away Thursday, September 27, 2018 in Ferron, Utah. Connie was born in Albuquerque, NM October12, 1931 to Frances and Warren McLain. Connie was married to James R. Brooks. They were married in Carlsbad, NM June 19, 1956. Connie was raised Carlsbad NM and went to school at BYU were she was introduced by a mutual friend to her husband Jim Brooks. Connie was fearless; something she learned from her mother, a nurse, and her father, a police officer. She liked painting, gardening, knitting, crocheting, and spending time with friends. There was not much Connie would not try. She was a dancer in her youth and a fisher-woman, whenever her kids or grandkids wanted to hit the lake. She was a great wife and a wonderful mother. Connie is survived by her children Linda White, Dorothy Gricius, Karl Brooks and Owen Brooks; eighteen grandchildren, twenty-two great grandchildren; and her sister Marian Watt. 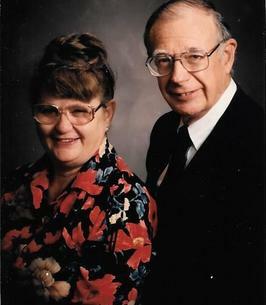 Viewing will be held Tuesday, October 2, 2018 at Ferron Stake Center at 11:00am to 11:30am and funeral services will be at Ferron Cemetery at 11:30am for Connie and her husband James Brooks. Friends and family may sign the guest books and share memories of Connie at www.fausettmortuary.com. Thoughts and remembrances can also be sent to: Linda White P.O. Box 354 Ferron, UT 84523. To send flowers to the family of Constance Dean "Connie" Brooks (McLain), please visit our Heartfelt Sympathies Store. Please accept our deepest condolences during this difficult moment. May the God of all comfort give you strength to endure the pain you are going through. - John 5:28,29 “the hour is coming in which all those in the memorial tombs will hear his voice and come out".